An impressive, beautiful GEM with stunning amounts of original RED color on the surfaces. 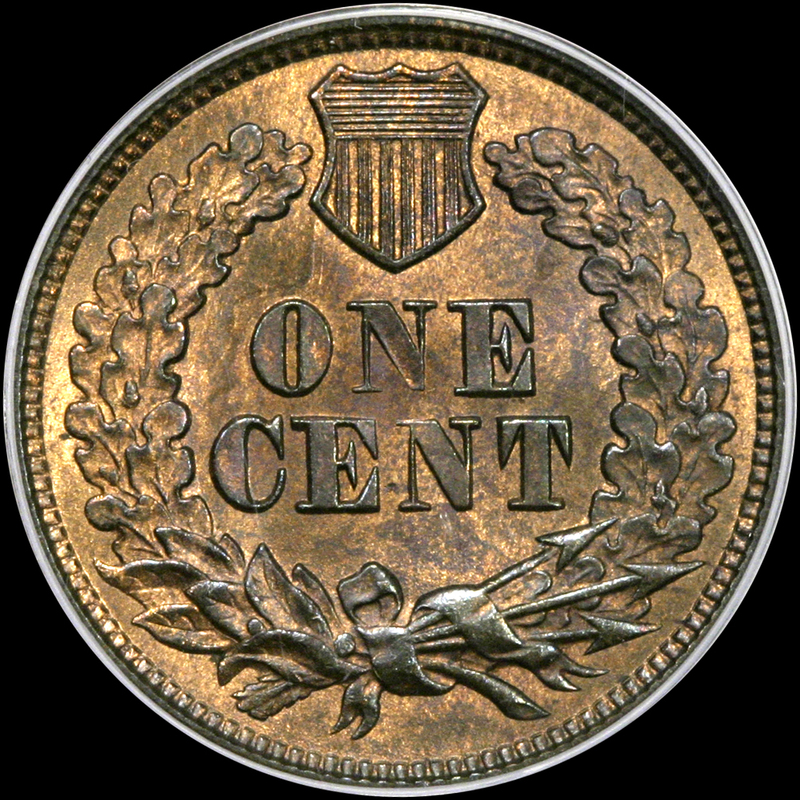 Tied for FINEST graded in the RB designation, this coin is one of just two MS66 RB to have been awarded a green CAC bean. We do consider this coin to be VERY HIGH END. 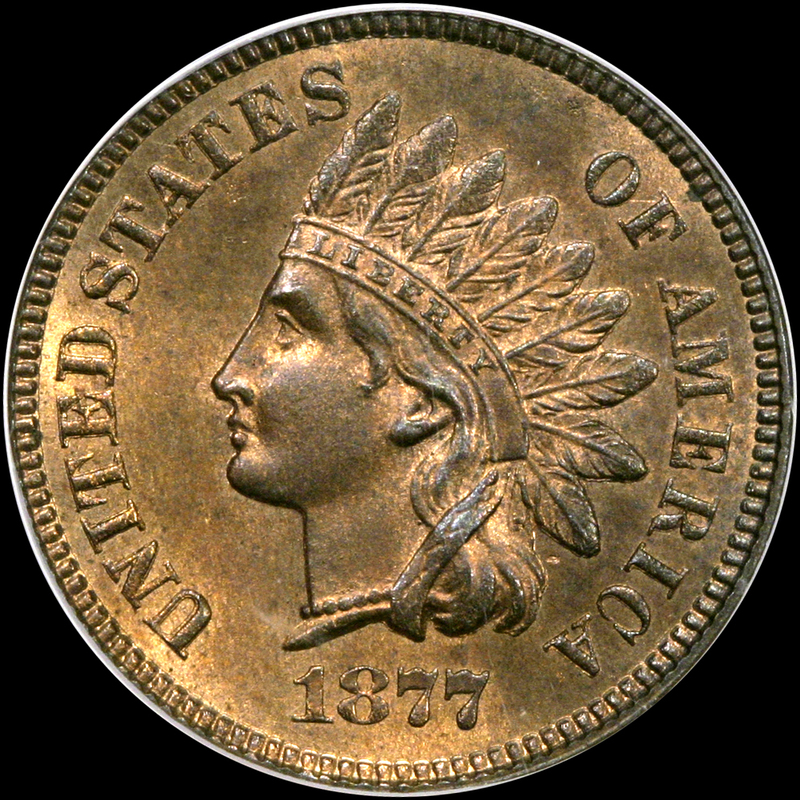 The 1877 had only 852,500 struck for circulation and these went directly into everyday commerce, where they would stay for many years. The typical survivor is apt to be XF or lower. Mint State coins are always in demand, and GEM Mint State coins like the presently offered coin are highly prized by serious collectors. A strong, vibrant mint luster glows all over both sides with a stunning vibrance. Moderately toned with totally original brown, olive, and violet hues on both sides that accent the satiny smooth surfaces and sharply embossed reliefs. The eye appeal is exceptional and very high end-even if you are very picky collector, you will LOVE this GEM! PCGS 6, NGC 7, CAC 2. The other example sold in an online auction in September 2018, realizing $36,750. Prior to that, the last PCGS MS66 RB sold back in February 2001! Even in the famously weak 2015 FUN auction, an NGC MS66 RB sold for $32,900. Housed in an older blue tag PCGS holder, this important GEM presents a great opportunity for the collector. Remember a full RED in MS66 (Pop. 7) would cost over $150,000! Opportunity knocks extra loud here.